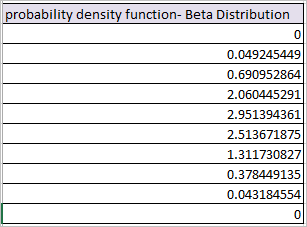 BETA.DIST Function in Excel calculates the cumulative beta probability distribution function or probability density function of beta distribution for a supplied set of parameters. 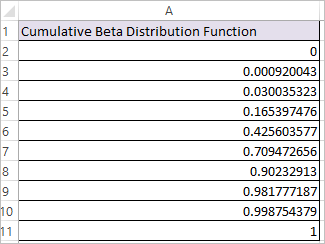 X -The value at which the function is to be calculated (must be between [A] and [B]). 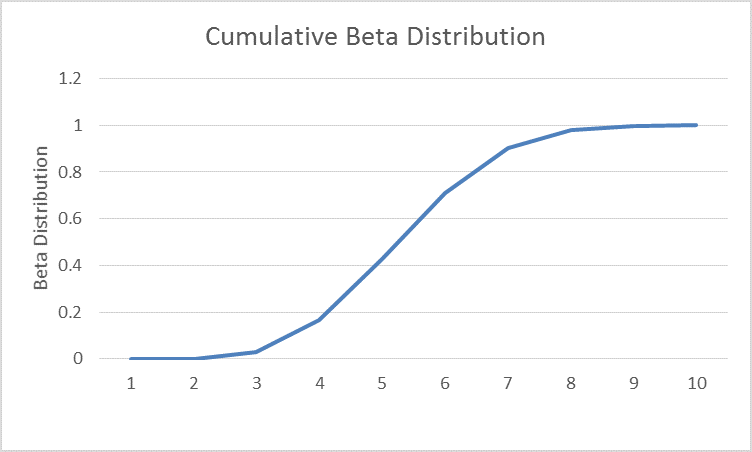 Beta Distribution function – BETA.DIST, is supplied values from 0 to 1 on interval of 0.1 along with alpha value as 6, beta value as 8 and cumulative value as TRUE. 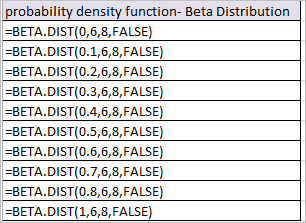 So the result will be cumulative beta probability distribution function ranging from 0 to 1 as shown below. 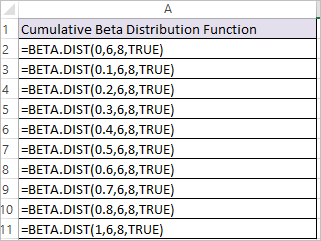 Beta Distribution function – BETA.DIST, is supplied values from 0 to 1 on interval of 0.1 along with alpha value as 6, beta value as 8 and cumulative value as FALSE. 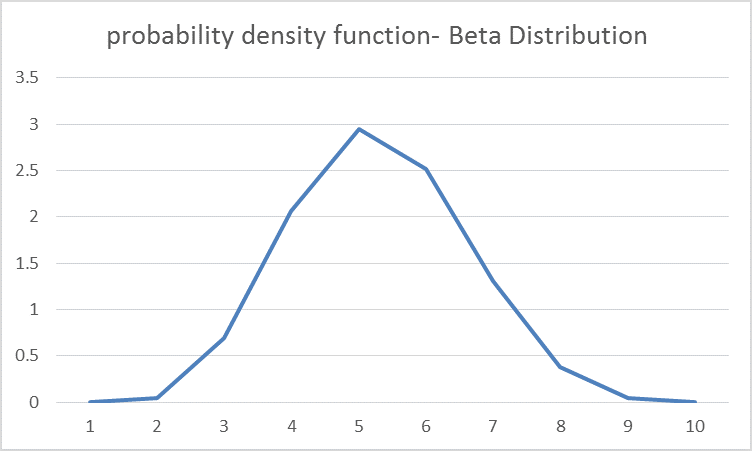 So the result will be probability density function of beta distribution.